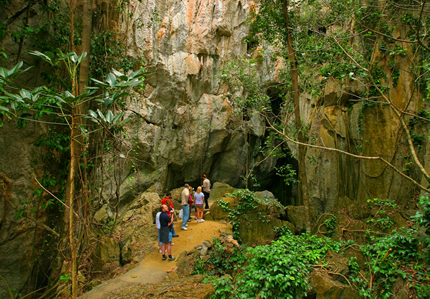 A Queensland Museum curator will start sifting through thousands of animal bones to try to find new fossils at the Capricorn Caves, near Rockhampton in the state's central region. Dr Scott Hocknull and his team have excavated more animal fragments from the site during the past few weeks. Dr Hocknull is studying how species became extinct in Rockhampton, hundreds of thousands of years ago. He says it will take time to work out what happened. "We're yet to figure out the results of it, obviously we've only got the fossils back into the laboratories so it'll be a few months from now on, or maybe even a year or two, to really figure it out," he said. "We're talking about literally thousands of little, tiny bones. "It's not something we can go, 'oh yes, we know the answer to'. "We have to sort through literally thousands and thousands of small bones and teeth.